The Highland LEADER Programme is encouraging potential applicants to come forward with project ideas. LEADER is an EU Fund aimed at promoting economic and community development within rural areas. The Inner Moray Firth South Local Area Partnership has a budget of £412,684 to award to projects which will benefit communities in Nairnshire and Rural Inverness, excluding Inverness City. Crowdfunding offers both commercial and non-commercial ventures the opportunity to raise a sum of money by offering shares to people who put forward small amounts of money. This scheme makes grants available for registered charities in Scotland working for the support and improvement of the community. Please click here for details of all the above. Transport Scotland’s Low Carbon Travel and Transport Challenge Fund (LCTT Challenge Fund) is now open for applications. The Energy Saving Trust has been appointed by Transport Scotland to administer the fund. The deadline for applications is 4pm, Tuesday 28 February 2017. The publicly funded DSSB programme continues to bring fibre broadband to many communities in the Ward 13 area. Cannich, Dochgarroch, Dores, Drumchardine, Drumnadrochit, Farr, Fort Augustus, Foyers, Glenmoriston, Glenurquhart and Kiltarlity all have at least one cabinet or are scheduled to receive some coverage in the current programme. The way fibre broadband is usually delivered is that a new fibre cabinet is built next to a green telecoms cabinet. The two are connected and the broadband service runs along your phone line to the house. However, in many rural areas, people’s phone lines came directly from the exchange. As part of the project many of these ‘Exchange Only’ lines have been re-routed into the new cabinets in order to be connected to the new network. People connected to fibre cabinets, and with a line length of about 1km should get a superfast service. Most within about 2km should experience some uplift in service. Unfortunately, with current technology the speed drops off quickly and at around 2.5km it’s unlikely there will be an uplift in service. It’s important to note that if you are connected to the fibre cabinet you are NOT automatically upgraded to a fibre service. It’s a completely different service from existing broadband. You need to call your internet service provider (such as BT or Plusnet) and order a fibre service. You can check the availability of fibre at your premises on the HIE website and keep up to date with estimated timescales for the installation of new cabinets. When services are live you can check what speeds you should be able to get on your phone line before you call your internet service provider. This is possible at the checker and also for BT customers at this website. It will give you the minimum and maximum download speeds you should be able to get on your phone line for VDSL (a fibre service) and for ADSL (a copper line service). Longer term, the Scottish Government has announced a target to reach 100% of premises with superfast broadband (> 30Mbps) by 2021. An open market review has started to establish existing and planned (next 3 years) commercial coverage of broadband services across Scotland. It will help the government define an intervention area for public investment. More detail on next steps is expected in early 2017. 1. Better Broadband Voucher Scheme The voucher is a one off payment of up to £350 towards the cost of the installation of satellite broadband or a fixed wireless network. There is more information about the voucher scheme here. There are eligibility criteria. Households with download speeds of less than 2Mbps through the BT Openreach network are eligible for the voucher (other eligibility criteria may apply). Successful applicants to the voucher scheme are given an activation code that can be redeemed with a list of accredited broadband installers. 2. Mobile Broadband – There is due to a be a significant roll out of 4G mobile signal over the next 12 – 18 months so it may well be that mobile broadband provision in your area improves. It is worth keeping an eye on mobile phone providers’ websites to see where their 4G coverage is planned. Over the last year a Working Group has been looking into the possibility of building a community broadband project in the Loch Ness Ward 13 area. The Working Group recently took the decision to wait for a Scottish Government initiated review process which is currently taking place and due to conclude early in 2017. Because of the rules that currently exist around public funding and State Aid, the public purse can’t fund a superfast project in a postcode twice. If the group undertook a project using the current scheme, they would not be able to include many premises whose broadband is currently poor because they are in postcodes with premises that have received public funding through the DSSB rollout. However, that is expected to change following a review process later this year which could allow many more people to be included, as the assessment will be based on the individual’s broadband speed, not their postcode. The Working Group will meet again in the new year to consider their options following the conclusion of this review process. Papers for the Working Group meeting are available here. 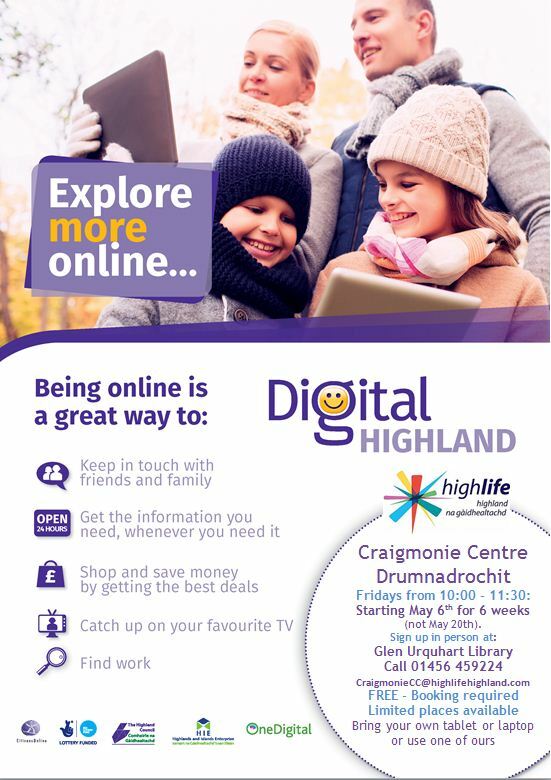 If you would like more information, please contact Community Broadband Scotland. 12 Tips for a Happy and Healthy Christmas! Christmas can be a wonderful time of the year but sadly not for everyone. We have put together a list of useful links to help you get through the festivities. From all of us at Soirbheas we wish you a Merry, Safe, Healthy and Warm Christmas! 1. Countdown to Christmas Tips – Great ways to save money on your food bills. Ideas for using up left overs and cutting your food waste to save money. 2. Reduce Reuse Recycle – We waste more at Christmas than at any other time of the year. 3. Trade Craft – Have an ethical Christmas. 4. How to avoid debit – Try and avoid over spending by planning ahead. 5. Stay Safe and Healthy – Cooking tips to reduce food poisoning. How to avoid feeling lonely. More than 80,000 people a year need hospital treatment for injuries such as falls, cuts and burns during the festive period – don’t be one of them! 6. Money Saving Ideas – 48 tips on how to save money this Christmas! 9. Being Social at Christmas – sometimes it is hard to get out a see people. Here are some ideas on how to keep in touch in other ways. 10. Work off the Christmas Excesses – A simple walk can make a big difference to your health and happiness. 11. How to reduce your stress levels – Christmas can be a difficult time and you need to remember to take care of yourself as well as your family. If data protection fills you with fear, then this is the course for you. Our free and interactive session is for anyone who wants to gain a basic understanding of data protection and how it applies to their organisation. It will cover the basic concepts of data protection, offering a guide to help you and your organisation comply with the obligations of the legislation. A representative from the Information Commissioner’s Office in Scotland will be our guest speaker. You’ll be able to ask questions in a friendly and informal setting, and learn from the experience of others. • Learn about the new data protection regime that is coming down the line in 2018. Find out more about the Information Commissioner’s Office on their website or check out their Twitter feed. 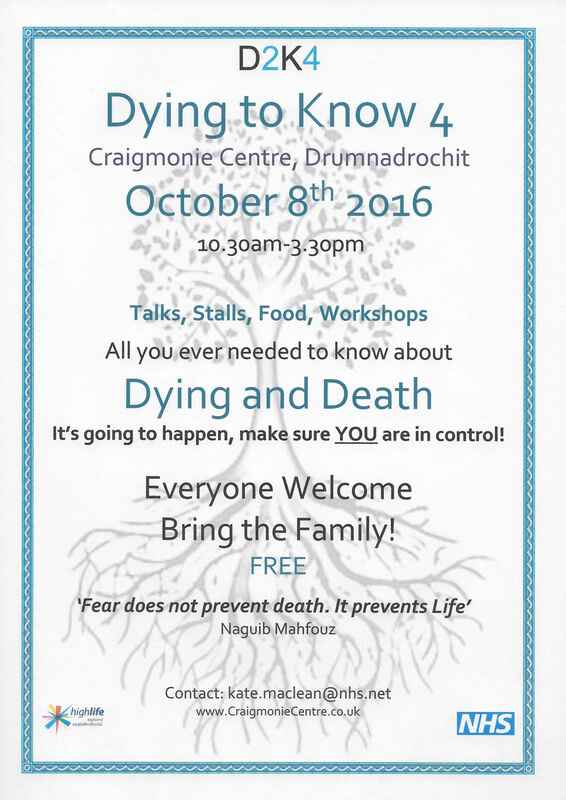 As this is a free event and places are limited, one place per organisation will be allocated on a first come, first served basis. A waiting list will be kept. 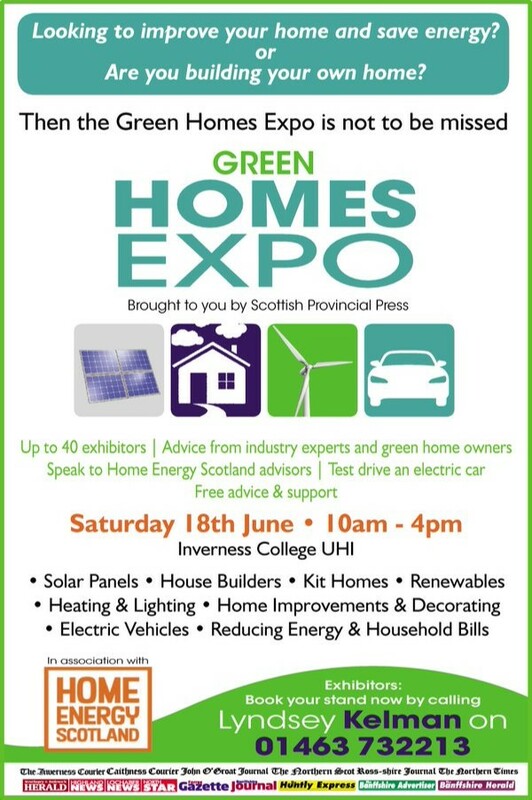 Venue: Fairways House, Fairways Business Park, Castle Heather, Inverness, IV2 6AA. The Co-op Local Community Fund is open to applications from small, locally based voluntary and community groups to support projects which benefit local communities around Co-op food stores and funeral homes across the UK or the Isle of Man. The Co-op Local Community Fund is provided by the Co-op Group as part of a new membership scheme which gives a 5% reward to shoppers on their purchases of Co-op own-brand products and services, together with an additional 1% given to local causes of their choice. A share of the money generated from the sale of 5p carrier bags in local stores, as well as the profits from the range of reusable bags, will also contribute to the fund. The Co-op is offering the funding as a way to support local groups that are working to benefit the lives of Co-op members and their communities. Applications will be accepted from registered charities, small charities registered with HMRC for tax, registered community amateur sports clubs, churches that are an ‘excepted’ charity and Scout or Guide groups can apply. • Take place in the UK or Isle of Man. • Not finish before October 2017. • Make the best use of the funding to create the greatest possible benefit for their community. It is anticipated that three projects in each of around 1,500 local communities across the UK will be funded. Although neither minimum nor maximum amounts have been revealed, groups have previously received grants of £2,500. Further information is available from the Co-op website. I am currently volunteering as a Commissioner looking in to Highland Democracy. At present we are circulating a Call for Evidence to anyone and everyone on our networks. It is a short questionnaire and I would be very grateful if you could fill it in and submit it. 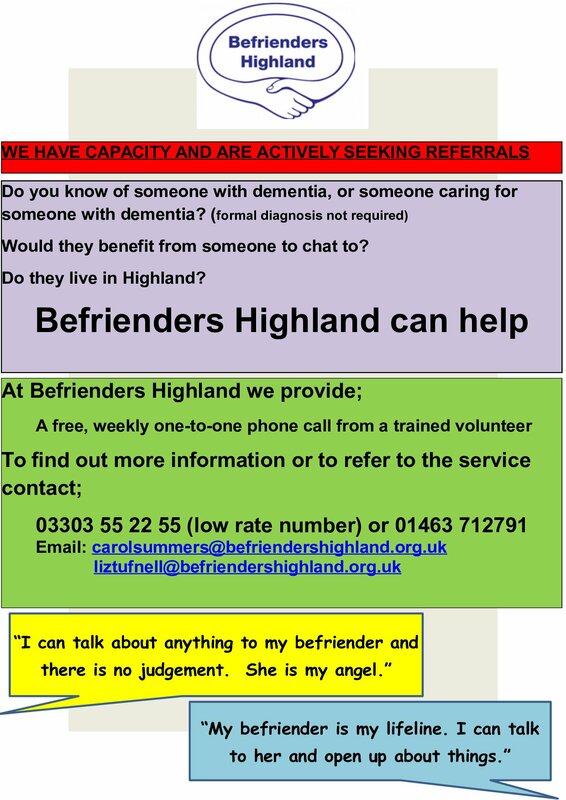 If you have a network within the Highlands I would also be grateful if you circulate to them and urge them to respond. Over the next weeks and months there will be meetings all over the Highlands trying to get out to speak to as many people as possible so that we can gather their views on the way forward. Thank you in advance for taking part. Your comments will be very much appreciated. Please find attached details of a Professional Development Award in Youth Work course which is starting soon. The course will take place November 2016 – March 2017 in Dingwall, and will consist of 6 sessions and also include an observed session. If you are interested in attending this course please read the attached info and return your application form to us as soon as possible. Closing date for applications is 4th November. Feel free to forward this info to anyone else who may be interested. To view our Autumn 2016 newsletter please click Here. Passion and commitment are the cornerstones to every successful enterprise but, despite the obvious desire, on its own a business will only go so far. That’s where the Scottish Government funded Just Enterprise programme comes in. By providing tailored business consultancy support free of charge to existing Third Sector organisations across Scotland we help them increase their trading income and become more enterprising and sustainable. Since the programme launched in 2011 our Business Support service has assisted in the growth of over 1,000 organisations located across the length and breadth of the country. We are accepting applications from both new and existing clients. Whether you are planning to develop new projects, promote new activities or innovative services, improve operational efficiency or strengthen the infrastructure of your business, Just Enterprise is here to help you achieve your aims. Interested? Don’t delay – Register here for our business support service today! Visit www.justenterprise.org for full details of our complete service range. Follow us @justenterprise for all the latest programme news. Kate Clark: demonstration of wrapping a body in a shroud. This is a natural and economic alternative to a coffin, often used for natural burials, which can also be used for cremation. Karrie Marshall : Writing thoughts and feelings about death can support our personal experiences in a variety of ways. Poetry about death and dying can offer comfort & new perspectives. Listen to some sensitive, humorous and creative writings, then use prompts to write your own prose. 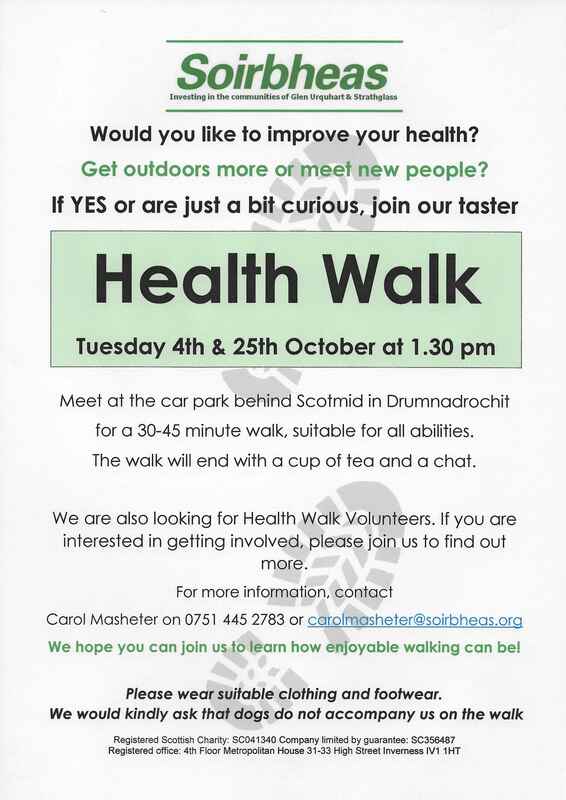 Soirbheas is keen to encourage others to recognise the benefit of walking and hope to establish a Health Walk group in Drumnadrochit. We all know we should take more exercise but sometimes we just need a bit of encouragement to start us on the right path! With this in mind, Soirbheas has organised two ‘taster’ Health Walks to take place in October, to help encourage local interest. The walks will take approximately 30-45 minutes and will be suitable for all abilities. Anyone keen to give it a go should meet at the car park behind Scotmid in Drumnadrochit at 1.30pm on Tuesday 4th and or Tuesday 25th October. No special equipment is required, but it is requested that anyone participating wears suitable clothing and footwear. In addition to the benefits to general health, Health Walks are all about socialising and making new friends (please leave dogs at home). The walk will end with a cup of tea and a chat to hear your feedback and ideas. We hope that you can join us to learn how enjoyable walking can be! 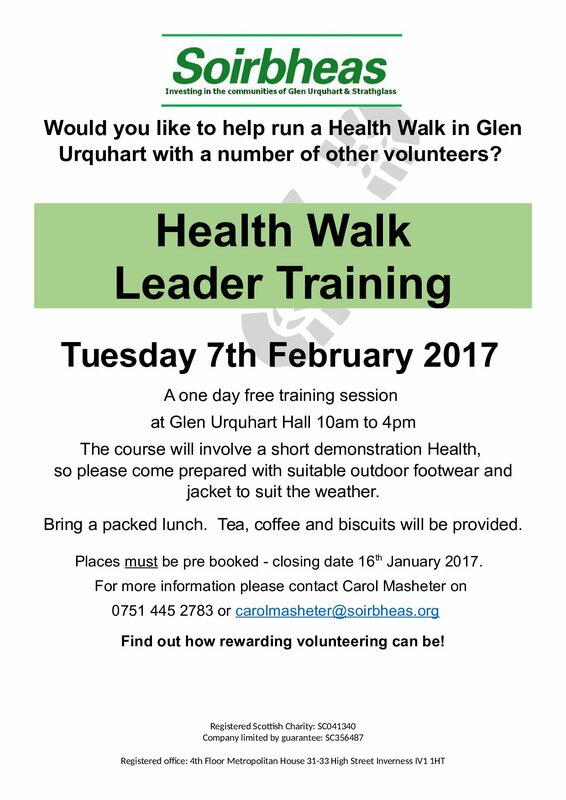 We are also looking for Health Walk Volunteers who will be willing to undertake training to lead the walks in the future. 8 Reasons to get Walking! Gentle, low-impact exercise that’s easy, free and available to everyone! Below are 8 reasons to give it a go!! Ever wanted to know how the web works and how to get more from it? Today’s economic climate is forcing social enterprises to become less grant dependent and more self-reliant so making your website work harder makes economic sense. This workshop is targeted at those enterprising third sector organisations that are either embarking on digital marketing for the first time or who want to get more from their existing efforts. • Is my social media working? • Is my social enterprise now an on line model? Click here to complete the on-line registration form. Places are limited and are offered on a first come, first served basis so please book early to guarantee your place. Highland Cross have put out a call for funding applications to benefit from the event to be held in June 2017. Funding applications needs to be in by the 31st of October 2016 and the webinars below will take you thought what is eligible for funding, who is eligible to apply and how the process works. Highland Cross will select 3-4 major beneficiaries this year who will receive between £20—£50k each towards capital purchases/costs. Several smaller grants for capital items will also be made from funds generated from the 2016 event. If you want to find out more register for one of the seminars below. LaunchMe is Scotland’s first and only accelerator for ambitious, early stage social enterprises. Applications will close at noon on Monday 28th November 2016. Since 2014, LaunchMe has supported 14 ambitious social enterprises from across Scotland. If you are unable to attend the roadshows, sign up for our webinar on Monday 17 October 2016 from noon to 1pm. How to Book – Click here to complete the on-line registration form. Places are limited and are offered on a first come, first served basis so please book early to guarantee your place. • Dialling 105 is free and will put customers through to their local electricity network operator – the company that manages the cables, power lines and substations that deliver electricity into homes and businesses in their area. • 105 is just one way customers can contact their electricity network operator. They can also contact them directly by phone, email or via their website, or social media. • Customers can call 105 no matter who they choose to buy electricity from. • Customers can also call 105 if they spot damage to electricity power lines and sub-stations that could put anyone in danger. If there’s a serious immediate risk, they should call the emergency services too. Tickets are available for a free Digital Champion Summit in Inverness on Friday September 9th 2016. The event is open to everyone – current and aspiring champions, and those who’d aren’t quite sure. The link to register is below, along with some information on who should attend. There is more information on the registration page, too. • You help people every day with online platforms as part of your job (in which case you already are a digital champion!) and would like to find out more. • You volunteer with a fantastic third sector organisation and know that digital skills would really help those you support – we’ll tell you more about becoming a digital champion! • We welcome folk from all sectors – public, private and third sector- as everyone has a part to play. 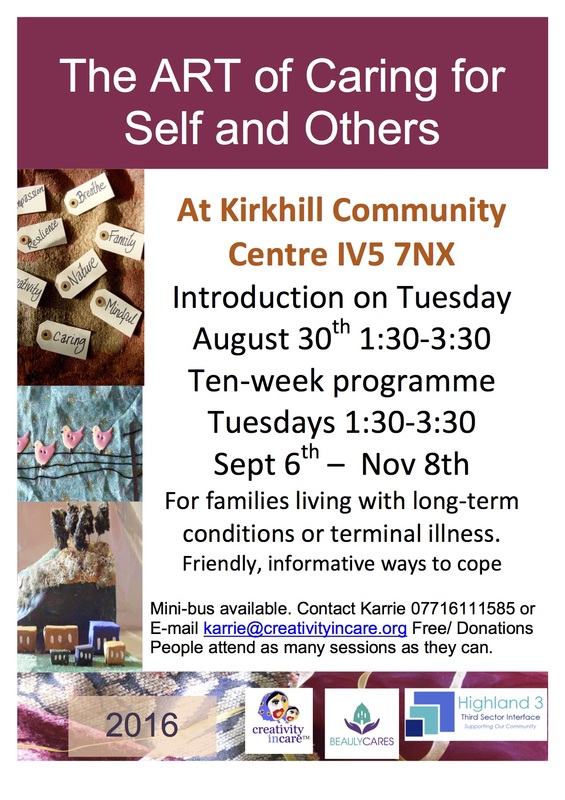 Please share this widely if you know anyone you think might like to come along and don’t hesitate to get in touch if you’d like more information. The Lifescan Small Grants Fund is a one-off sum of up to £1,000, available to constituted community groups and charities engaging in community work in the Highlands and Islands. Grants should be spent within 12 months of being awarded. LifeScan Scotland welcomes applications benefiting 10 or more people. Applications will be considered for the purchase of equipment or materials which impact on a specific project. · Early detection and self-management of chronic diseases. · Under-served areas (woman and children). The Big Lottery Fund’s new Celebrate programme is now open for applications, with £575,000 funding for projects in Scotland. Grants of up to £5,000 are available to groups to hold one-off events or activities which celebrate their local community. According to research carried out for the Big Lottery Fund, six out of ten people cannot remember ever coming together to celebrate with their community. Celebrate gives people the chance to come together, whether that’s to mark something important to their community, commemorate a historic local event, or simply get to know their neighbours better. Applications will be assessed and awarded on a first-come, first-served basis. The fund will close to new applications when all the money has been awarded. Visit the Big Lottery Fund website for more information. The Big Lottery has launched a new multi-million pound programme to support community-led projects to develop or build assets for community use. Through the new Community Assets fund, groups can apply for grants from £10,000 to £1 million to buy, build or develop buildings and land. Between now and 2020, up to £45 million is available through the fund in Scotland. Where needed groups will also receive professional technical support and advice from Community Asset mentors. Between now and 2020, the Big Lottery Fund in Scotland has £250 million to support people and communities dealing with challenging circumstances. Community Assets is the third and final stream of funding to open following the launch of Improving Lives and Community Led in November 2015. Visit the Community Assets section of the Big Lottery Fund website for more information. for the UK communications industries) are calling for your assistance to find out more about rural broadband experience by joining its research panel. Ofcom exists to make communications markets work for everyone. One of the ways Ofcom does its job is by conducting research to find out about the customer experience across the UK. Each year it reports its findings in its flagship Connected Nations report which provides a snapshot of the state of communications networks. To inform this and wider work, Ofcom is calling for volunteers to sign up to join its expanded research panel of broadband customers. Ofcom is particularly looking to sign up more people who live in rural areas in order find out more about the challenges they face. Volunteers are encouraged to sign up via Ofcom’s partner’s website here: https://signups.samknows.com/ofcom/. Those volunteers who meet Ofcom’s sample requirements will be sent a unit to plug into a mains socket and connect to their home broadband router. Further details of the sign-up process are set out below. 1. Broadband users sign up to take part in the research by completing an online form on SamKnows, Ofcom’s technical partner’s website here: https://signups.samknows.com/ofcom/. 2. SamKnows compares these volunteers to Ofcom’s sample plan, which is designed to ensure that the panel is statistically robust and nationally representative. Please note that not all of those who volunteer to take part in the research will be selected. 3. Those who fit Ofcom’s sample plan will be asked to complete an online end-user licence agreement. 4. Volunteers are then sent a whitebox hardware measurement unit that they plug into a mains socket and connect to their home broadband router using the provided cable. Please note that the whitebox will not interfere with the panellist’s use of their connection as it only runs tests when the connection is not in use, and it does not monitor what the panellist uses their connection for. Further detailed information about the process can be found at https://signups.samknows.com/ofcom/faq. All members are welcome to come along on Thursday 30th June 7:30 at Balnain Hall for the Soirbheas AGM. 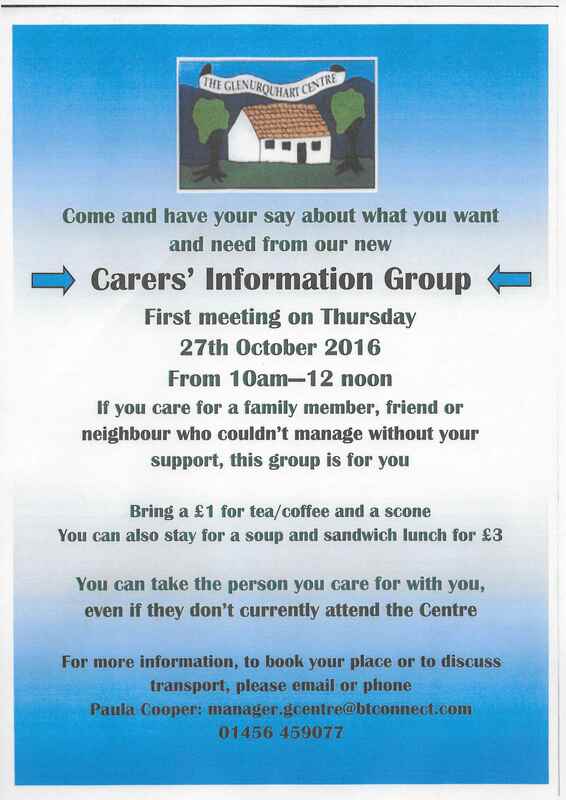 Guest speaker Toni Clarke will be talking about community growing projects on the Black Isle and refreshments will be served. 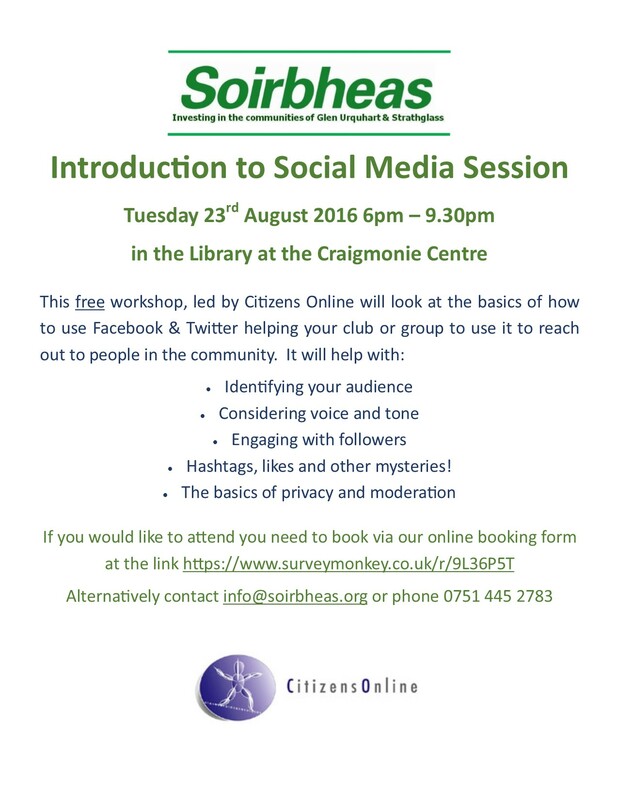 Soirbheas has organised two Social Media sessions to help improve communication and marketing for local groups. If your group or organisation is already utilizing Social Media but you want to hone your skills then the this course will be of interested to you. This is being delivered by Tuminds and will cost £50 per person to attend. Topics will include the use of Facebook, Twitter, Instagram and YouTube. If Social Media is new to you but you’re keen to learn then this free introduction session run by Citizens Online is a great starting point. 1. To receive the report of the directors and the accounts for the year ended 31st March 2016. 2. To re-elect Alan James who, retiring by rotation as director under the articles of association and, being eligible, is offering himself for re-election as director. 3. To re-elect Russell Fraser who, retiring by rotation as director under the articles of association and, being eligible, is offering himself for re-election as director. 4. To elect Peter Wilkes, who is offering himself for election as director. 5. To elect Fraser Mackenzie, who is offering himself for election as director. A member entitled to attend and vote at the meeting is entitled to appoint a proxy to vote, and attend, instead of him/her. A proxy need not be a member of the company. • 105 is just one way customers can contact their electricity network operator. They can also contact them by phone or via their website, or social media. Ward 13 Broadband Scheme – A new partnership has been formed to address the gaps in Superfast Broadband across the communities in the ward 13 area. To find out more or to be kept up to date as things progress check out the Ward 13 Community Broadband Partnership page. Soirbheas the community Charity for Glen Urquhart and Strathglass are seeking a new Treasurer to assist us as we develop. This is a paid role which is due to commence in early June 2016. The post will require an experienced bookkeeper to undertake the preparation of draft accounts, produce an annual budget, quarterly treasurer’s report and quarterly funders reports, raising payments including grant awards and attending quarterly board meetings. Closing date 20th May 2016. February and March were a little quieter than in previous years but overall a fairly good year. The new Scottish Land Fund will open on 1 April 2016, with £10 million available to help community-buyouts. Land is one of Scotland’s most valuable assets and owning land can help communities realise their aspirations and dreams, make a real difference to long term sustainability and build stronger, resilient and supportive communities. Each community has its own set of reasons for wanting to take on the ownership of land. The important thing is that communities are able to make the right choice for them in order to meet local needs and further sustainable development in their local area. The fund has been restructured to ensure support is available to communities from the idea stages right through to project development. Visit the Big Lottery Fund website for more information about the Scottish Land Fund. The Lad Reform (Scotland) Bill has been passed by the Scottish Parliament this week. The all new Love Food Hate Waste App has arrived on iphone and android and allows you to easily keep track of food planning, shopping, cooking meals and making the most of leftovers. The App also has lots of great recipe ideas and tips for using forgotten foods and leftovers to make great tasting meals. In the UK, we throw away7m tonnes of food and drink from our homes every year, most of which could have been eaten if only it was managed better. This good food and drink costs us £12.5bn a year. You can save almost £60 per monthby throwing away less food, and help the environment by saving energy, water and reducing harmful gases. Available in Android and iOS NOW! Lovefoodhatewaste.com can also be viewed while on the move – all your food needs wherever you are. Not a single seed tattie left! 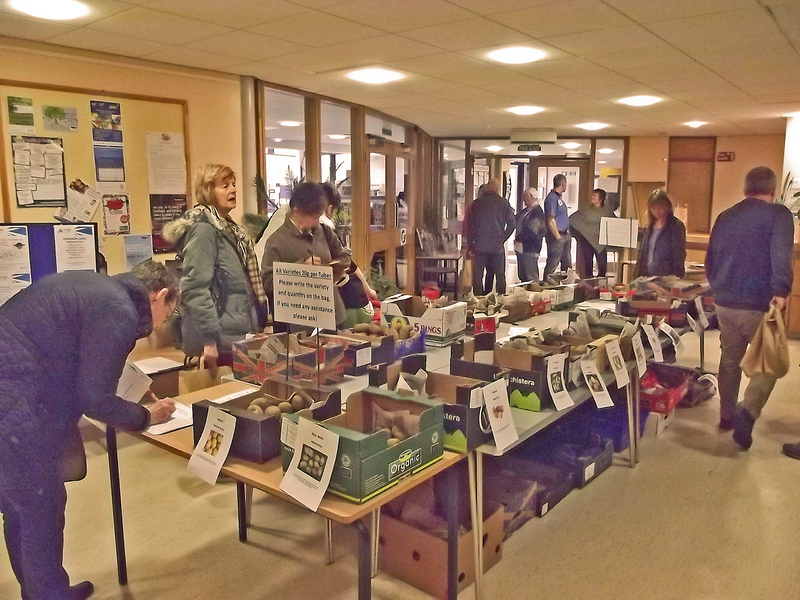 Great turn out and very positive feedback from the Tattie Day on Saturday. Lots of you have been inspired to take up growing for the first time, while others are growing different varieties or increasing the size of your plot this year to be able to grow more. We wish you a successful growing season and look forward to seeing some fine crops of tatties later in the year. More tattie recipes will be added to the website over the next few weeks to tempt you to experiment with those spuds! Deputy First Minister John Swinney has said “no stone will be left unturned” in an effort to improve connectivity in the Highlands and Islands. The issue was discussed at the Convention of the Highlands and Islands, a meeting that brings together the government and local authorities. Some parts of the region have poor mobile phone and internet connections. Delegates heard that 300 new phone masts would be installed in an effort to boost these services. Development agency Highlands and Islands Enterprise said it hoped that fourth-generation (4G) mobile services would be available to most of the region by December 2017. But she added: “While I welcome this commitment, there is a pressing need to identify those areas of Highland that will not be reached as part of this contract and establish a clear plan of action to ensure that those communities who do not yet have access to effective broadband do not miss out. There are 25 varieties available for sale at 20p per tuber, quantities are limited to 40 – 60 per variety so when they are gone there gone! The list of the seed varieties is now available to downloaded. We hope you can join us for an inspiring day; don’t forget to bring along your favourite tasty tattie recipies along to swap. All proceeds from the event will go towards other community growing projects. It has been another busy winter with lots of activities including deliverying energy saving sessions in schools, planning the 2016 Tattie Project as well as distributing thousands of pounds in grants awards. To catch up on all our news and forthcoming activities please see the current issue of the newsletter. Following discussions with Force 9 Energy and EDF Energy Renewables Limited (EDF ER), regarding the proposed Cnoc an Eas wind farm, Soirbheas has now entered into a memorandum of understanding (“MoU”) with EDF ER. The MoU is an early, high level agreement between EDF ER and Soirbheas such that, in the event that EDF ER’s proposed Cnoc an Eas wind farm development proceeds, then Soirbheas can secure community benefit payments for the community with there being the option of a separate revenue sharing option also. Soirbheas was originally formed to secure the community benefit from renewable energy projects in the region, so entering into this MoU is fully aligned with Soirbheas’ charitable objectives and any income received would be invested in the Strathglass and Glen Urquhart communities to support Soirbheas’ vision of a more vibrant, growing and greener community. The MoU clearly acknowledges that Soirbheas takes a neutral position in relation to the planning application for Cnoc an Eas wind farm (comprising 13 turbines, with total generation capacity of up to 44.2MW) and Soirbheas will continue to remain strictly impartial with regard to the planning process, with no role in it. However, the MoU is the first step to ensure that, if the Cnoc an Eas wind farm moves ahead, then Soirbheas can secure the benefit on offer to invest in the local community. 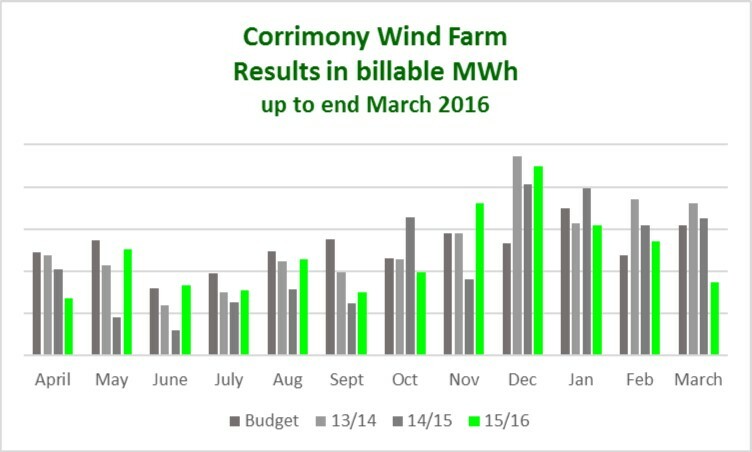 The decision on whether to take the standard community benefit (which will be based on the industry going-rate) and/ or to consider the revenue sharing option would not be taken until after the wind-farm had been commissioned (and with due consideration of any related risks), should planning permission be granted. Local charity Soirbheas is keen to get the communities of Strathglass and Glen Urquhart growing! Over 2,000 seed potatoes will be distributed via local schools, nurseries and local groups to be sold and grown in the community. The aim is to inspire children, their families and the wider community to get growing. 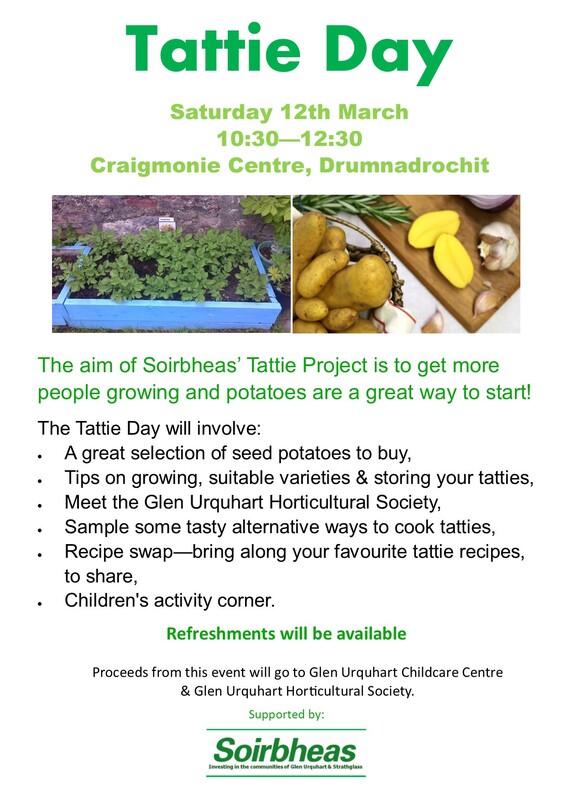 As part of the project Soirbheas is working with the Glen Urquhart Horticultural Society to hold a Tattie Day on Saturday 12th March from 10:30—12:30 in the Craigmonie Centre, Drumnadrochit. With over 25 varieties of seed potatoes to select from on the day, there will also be tips on getting the best yields, advice on suitable varieties as well as how to store your tatties. A recipe swap will also form part of the event so we would love you to bring along your favourite tattie recipes to share with others. In addition, those who come along will get to sample some tasty alternative ways to cook tatties. Refreshments will be available and for the children there will be an activities corner too. So whether you are new to growing or an old hand at gardening we are confident that you will find this a motivating event to attend. “We are really excited about being involved in the Soirbheas Tattie Project, tatties are such a versatile crop and a great way to encourage people that are new to growing. We are always looking for ways to share our passion for gardening and this project provides the perfect opportunity” – States Helen Maclennan, Glen Urquhart Horticultural Society. This is a family friendly event and open to all members of the local community. Proceeds from the sale of the seed potatoes will go to Glen Urquhart Childcare Centre & Glen Urquhart Horticultural Society. Does your group have a great paths project idea but doesn’t have the finances to carry out the work? If the answer is “yes” then Paths for All can help you. We are offering individual grants of up to £1,500 to help community groups improve, maintain and promote their local community paths. produce a leaflet or promotional materials. The form should take around 10 minutes to complete. If you are having technical issues downloading the form, please contact us. The closing date for Expression of Interest forms is 5pm on 18 March 2016. If your project is suitable for our Community Path Grants, you will be sent an application form so that you can apply. Completed grant application forms must be submitted before 5pm on 29 April, 2016. We aim to notify you on the progress of your application by the beginning of June 2016. Need help with your application or advice? 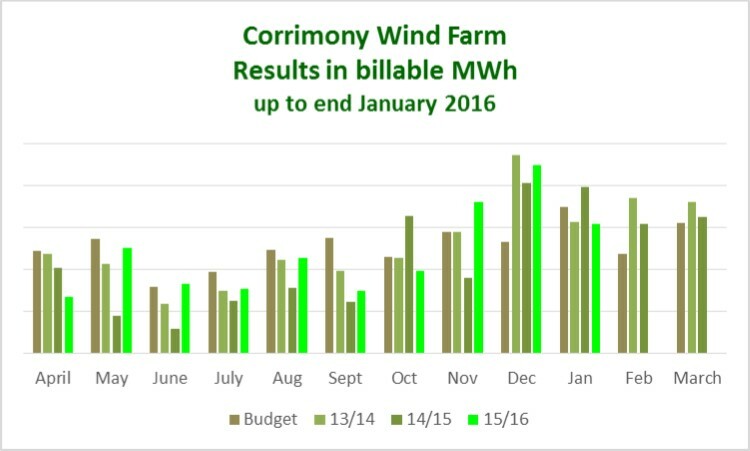 Corrimony escaped the worst of the storms so output was good with no downtime from power cuts.